Just one of those days that calls for a Shel break. 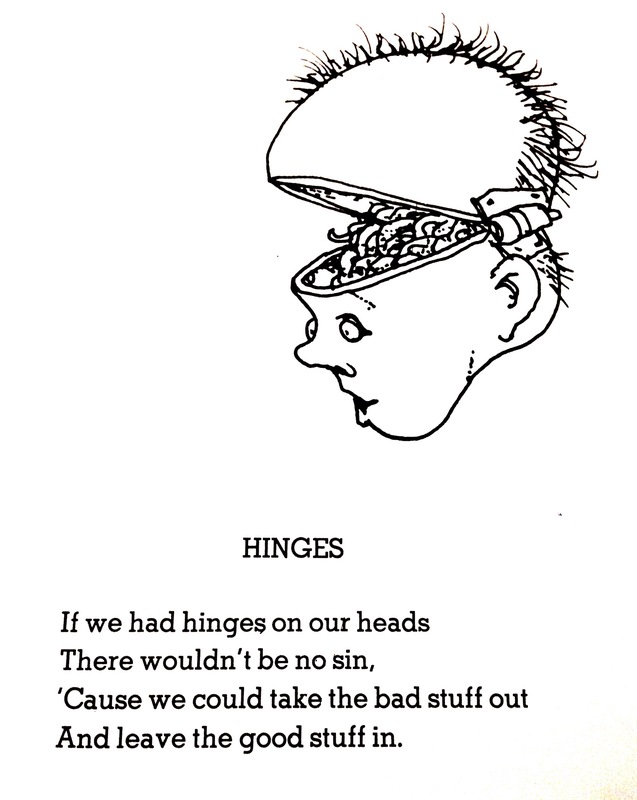 By that, I mean a few short poems from the late Shel Silverstein. They are often labeled as being for kids, most likely for their simplicity in their messaging and the cartoon-like quality of his line drawings. But there is wonderful wordplay and a layer of maturity in them that usually makes me smile as well as think just a bit. I think the best children’s works have that quality that gives them an appeal beyond the kids. Take the two pieces at the bottom, Losing Pieces and Zebra Question. They both play with how we speak and how we see things. Simple, sure. But interesting and a just a bit thought provoking. And I can sure use a little bit of Shel this morning. My head feels like it has hinges and someone has opened it, scooped out everything and left me little to work with. Got to go find some good stuff to put in it. 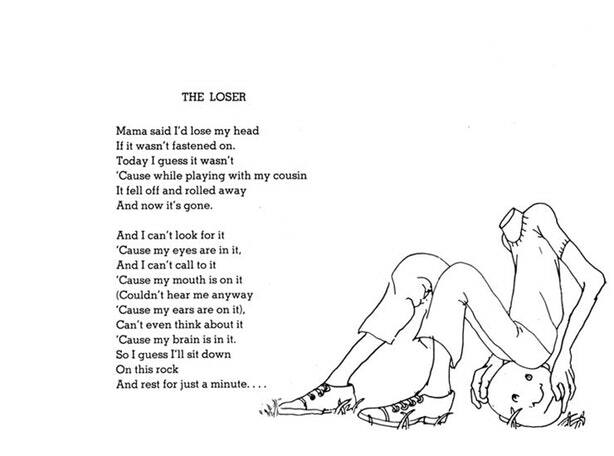 Ah, this little bit of Shel Silverstein feels just about right on a Friday the 13th morning. There’s certainly some truth in there somewhere. Maybe it’s that we are all looking for something we feel is missing and all the time, it’s there in plain sight. Or it would be if we weren’t sitting on our heads. Keep your heads on today, folks. Busy day. 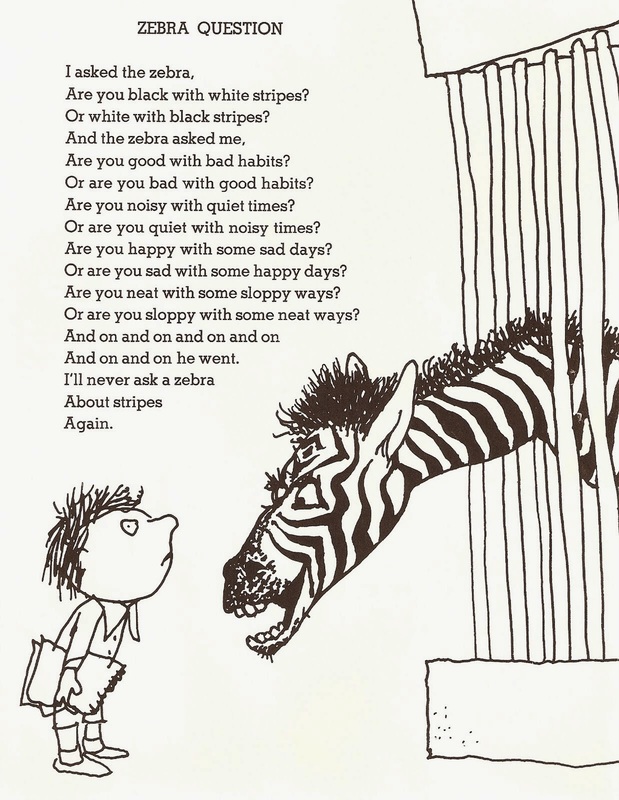 But there’s always time for a little Shel Silverstein. 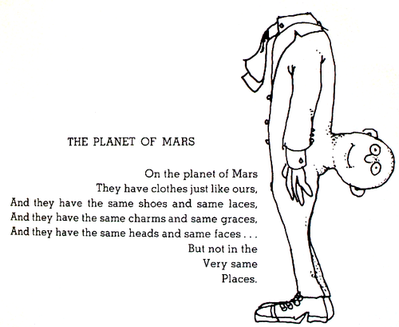 On a morning when I need a chuckle I can always turn to the late, great Shel Silverstein and his slightly skewed take on the world. Like him, there are people that I know who must be from Mars. Check out his site by clicking here. 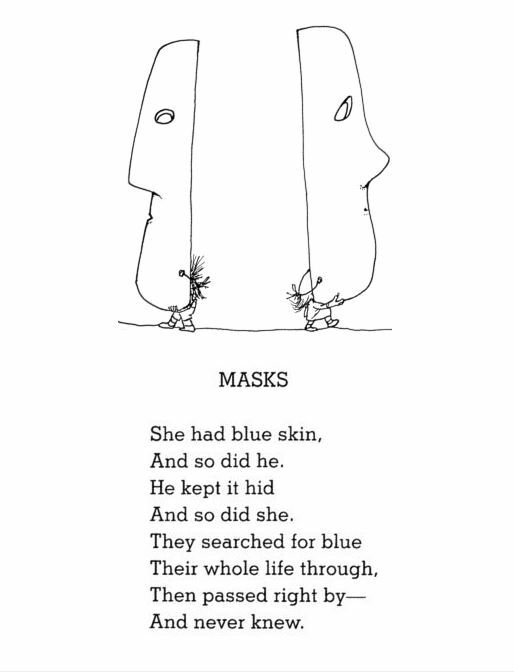 After yesterday’s post concerning masks, my friend Gary reminded me of a new book of poems, including one titled Masks, from the incredible imagination of the late Shel Silverstein. I’ve written about him before here, once about his classic The Giving Tree and another time reprinting his poem Smart for Father’s Day. His new book is Every Thing On it and is comprised of never before published poems and drawings from the acclaimed poet and songwriter who died in 1999. I suspect it would make a great and thoughtful Christmas gift for children of all ages. I know I’m making a gift of it to myself. 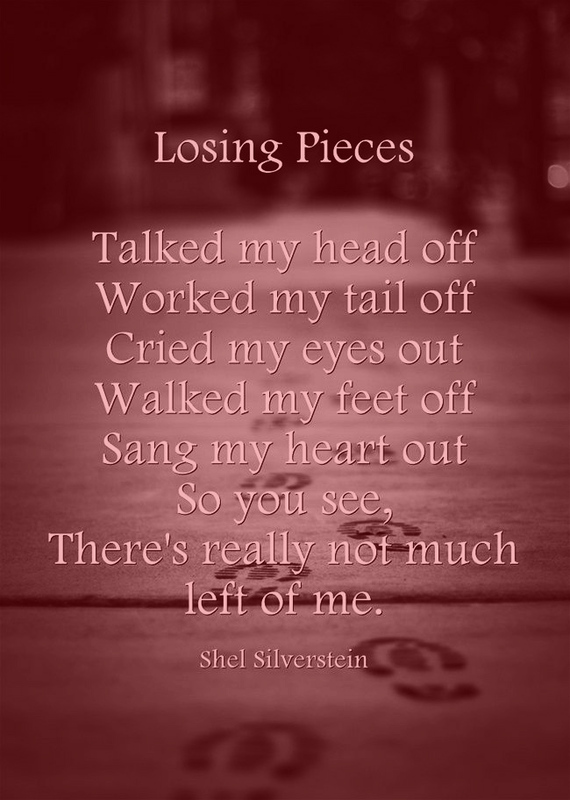 Also, take a gander at his website, ShelSilverstein.com. It has tremendous animations and is a beautiful site, with an emphasis on his work for children. Here’s Masks from his new book. Yesterday I received a copy of the classic children’s book The Giving Tree written by the great Shel Silverstein. It was sent by a friend who had been at the recent gallery talk at the West End Gallery. I had been asked during the talk if I had ever read the short tale and I said that while I had heard of it, I had never chanced across it . I was moved when I found it in my mailbox and even more so after reading the simple story of a boy and a tree and the loving sacrifices made by the tree. It’s a lovely story and will have a spot of honor on my studio bookshelf. I used a Shel Silverstein poem, Smart, a couple of years ago on a Father’s Day post and knew of some of his other books and his song A Boy Named Sue that was a favorite of mine growing up. But I never knew that he wrote so many other well known songs. For example, I didn’t know that he had written The Unicorn that is the signature song of the Irish Rovers or The Cover of the Rolling Stone which became an instant classic for Dr. Hook. He also wrote a couple of lesser known favorites of mine– 25 Minutes To Go for Johnny Cash and Tequila Sheila for Bobby Bare. A great talent. Silverstein died in 1999. 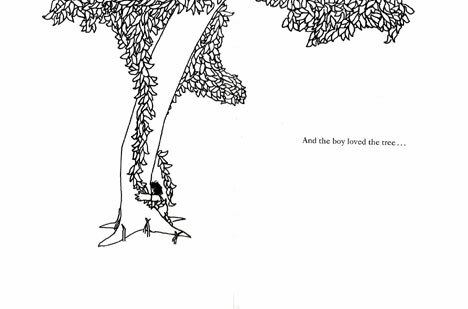 If you’ haven’t read this lovely story, here’s a short film of Shel Silverstein from 1973 reading The Giving Tree with his animated illustrations.